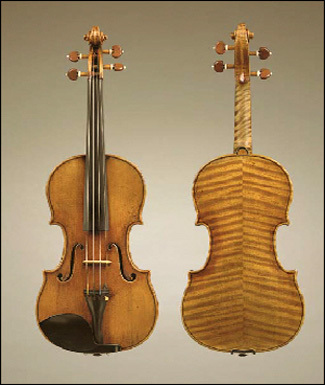 Anton Stradivari is the prestigious builder of violins and other stringed instruments. His creations, known as Stradivarius or Strads are nonpareil and the standard by which all violins are compared. Virginia resident Wayne Henderson is a luthier that has earned the title of The Stradivari of the Blueridge (mountains). 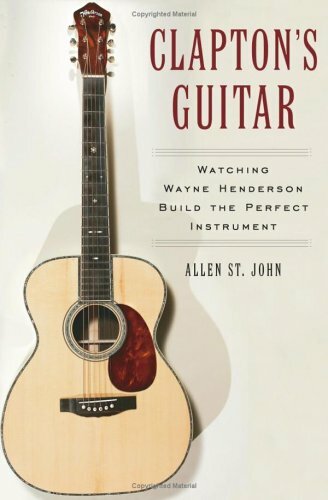 Last year my brother made me aware of a book called Clapton’s Guitar – Watching Wayne Henderson Build the Perfect Instrument. The book tells the story of how Eric Clapton played a Henderson guitar in a recording studio back in 1994 and decided he had to have one. The wait period for a Wayne Henderson guitar is ten years, even for well known celebrities, such as Clapton. Henderson does not take shortcuts when it comes to his craft. Clapton received his Henderson in 2004. 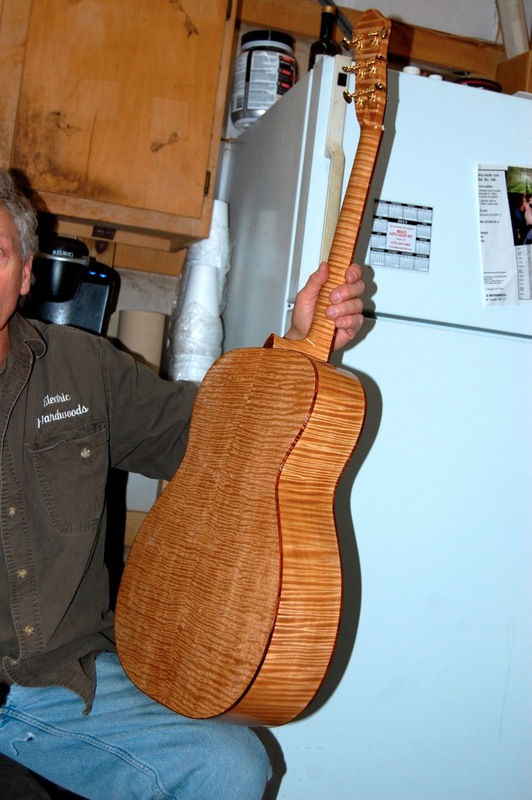 Wayne C. Henderson is an American Luthier who specializes in the crafting of handmade custom Acoustic guitars. He has studied Martin guitars from the 1930's and early 1940's and has designed instruments that many feel are superior. I certainly agree. Wayne humbly states all he does is take a sharp knife to a piece of wood and cuts away all the parts that do not look like a guitar. But he does so much more than that. His guitars all have a signature crisp, clean and sweet ringing sound that steel string acoustic players have come to desire. The spruce braces he installs are hand cut with 'a sharp knife.' Actually it is his pocket knife. He chooses wood for the soundboard that has a nice ringing tone. Everything about his guitars, with the exception of the tuners and the bits of inlay are hand made. Henderson carves nuts and saddles out of aged beef bone. Henderson does all the inlay work on his guitars and as you can see from the picture at the top of the page, the results are exquisite. 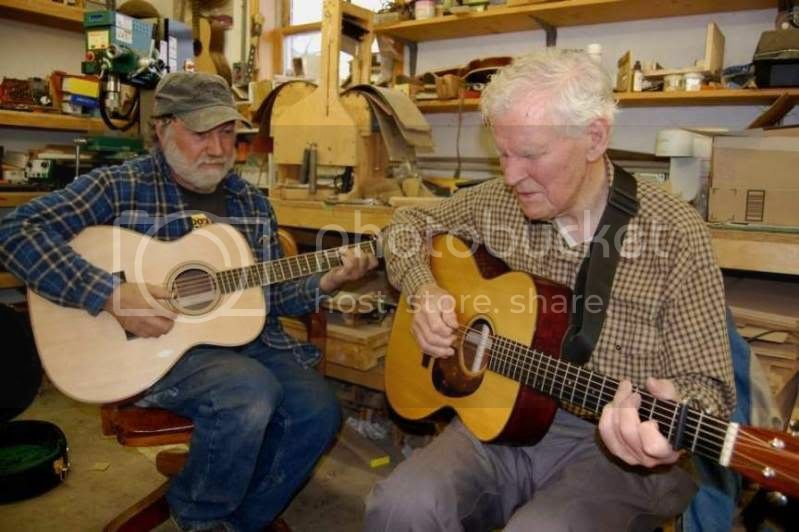 Wayne Henderson also occasionally makes other stringed instruments, such as mandolins, banjos and fiddles. His focus is on guitars and he has a long waiting list. Henderson works out of a small shop which is based in Rugby, Virginia, population 7, Grayson County, Virginia. His red brick shop is about the size of a large garage. 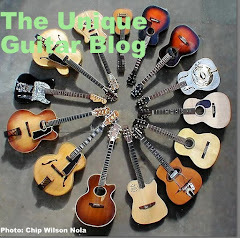 As I have mentioned, Henderson's guitars are inspired by those great pre-World War II guitars of C.F. Martin and Company. 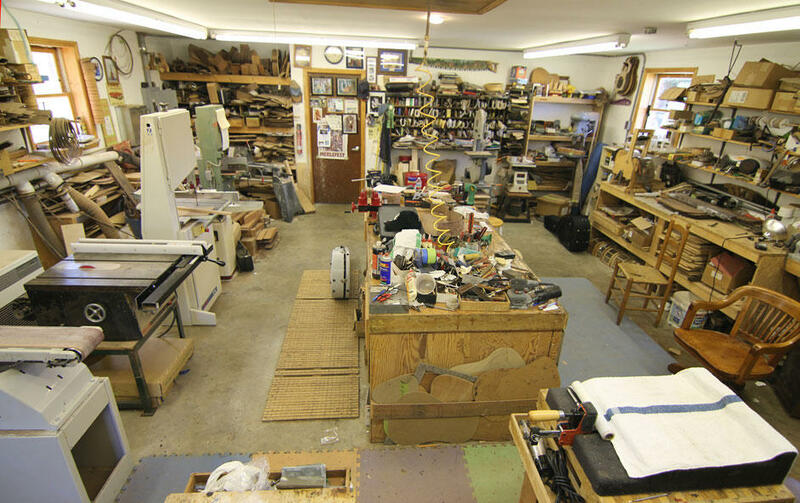 In essence, Wayne runs a one man shop, so he has built and sold only a limited amount of guitars. Those who own a Henderson guitar say it is worth the wait. In a 1995 White House ceremony Wayne Henderson received a National Heritage Fellowship Award in recognition of his extraordinary luthery talent. In addition to the 2004 book, Clapton’s Guitar, was the subject of a 2008 Appalshop Documentary, From Wood to Singing Guitar. 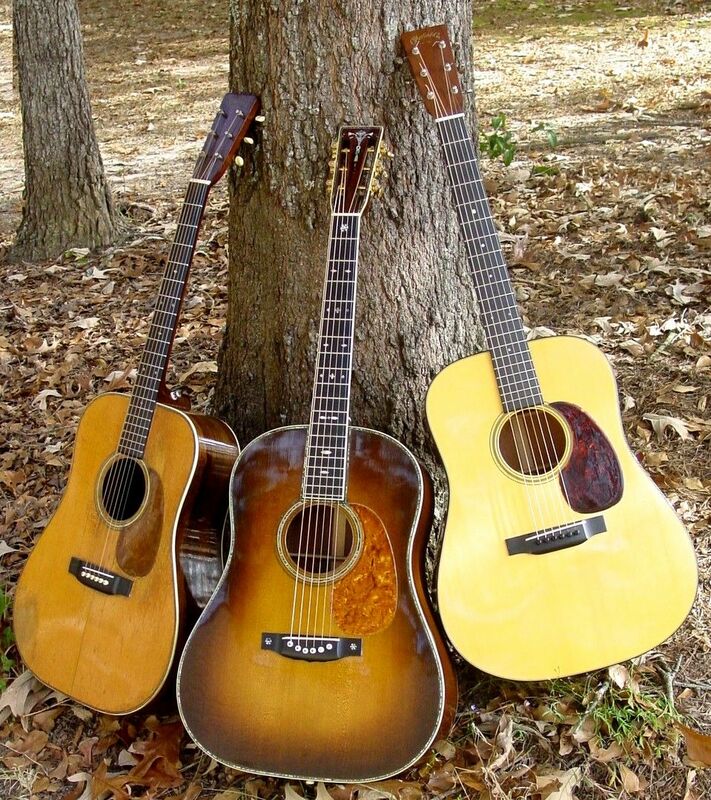 Henderson has built guitars for Tommy Emmanuel, Doc Watson, Peter Rowan, and Gillian Welch. Wayne Henderson is also an incredible fingerstyle guitar player. You can often find him playing guitar with friends on his front porch. But Henderson has played guitar at Carnegie Hall and participated in three national tours of Masters of the Steel-String Guitar and and done seven Asian tours of this show. 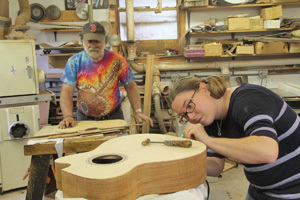 Henderson works alone in his shop, although he is sometimes aided by his daughter, Elle Jayne Henderson and by aficionados that travel 100’s of miles just to get the chance to work with this master luthier. Wayne is happy to share his knowledge. 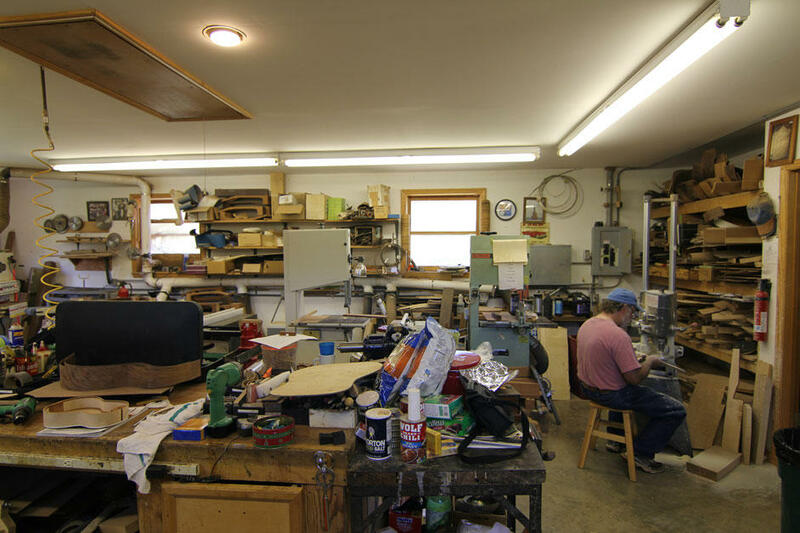 After all, some of the world’s finest guitars are made in that small shop. Wayne’sdaughter, who goes by the name Elizabeth, has become very involved in her Father’s work. She has interrupted her law school classes, to learn to be a luthier. In joining her father’s business, the Hendersons’ concern of late is producing a sustainable guitar that will not erode the world’s natural resources. Wayne Henderson only produces about 20 instruments a year, which explains the long wait. Some of Henderson’s instruments are elaborately decorated, while some are rather plain. Henderson’s goal is to make a guitar with excellent volume and tone. 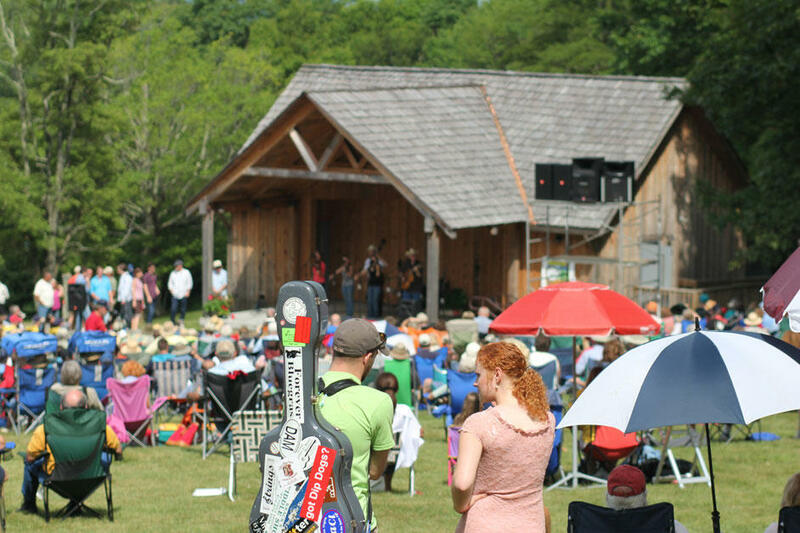 To give back to his Appalachian community, The Wayne C.Henderson Music Festival and Guitar Competition was established in 1995 in recognition of this master luthier. A portion of the proceeds from the Festival are placed into a scholarship fund to aid young musicians in continuing their education. The competition winner receives a Henderson guitar. 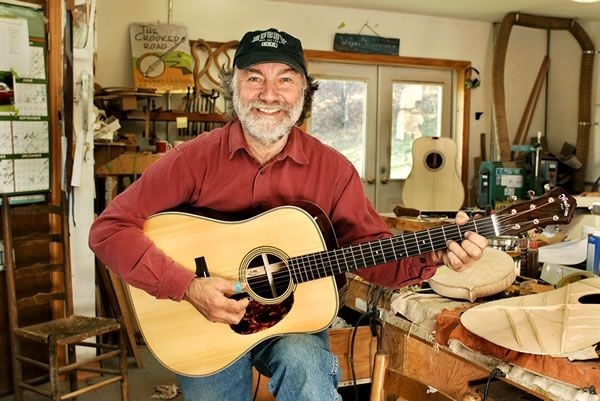 By the end of 2012 and by his count, Wayne has built 549 guitars, 116 mandolins, 104 fiddles, 15 banjos, 14 ukuleles, five dulcimers and two dobros in his career. So far Elle Jayne is working on two ukuleles and her eighth guitar, a cutaway model with koa sides and a spruce top, as gifts for her cousins. With each one, she comes closer to her goal of a sustainable guitar of the quality her dad instruments. 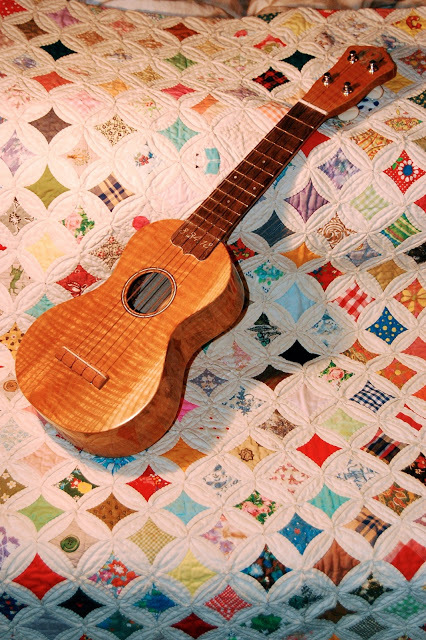 The video below features Elle Jayne's Eighth Guitar.